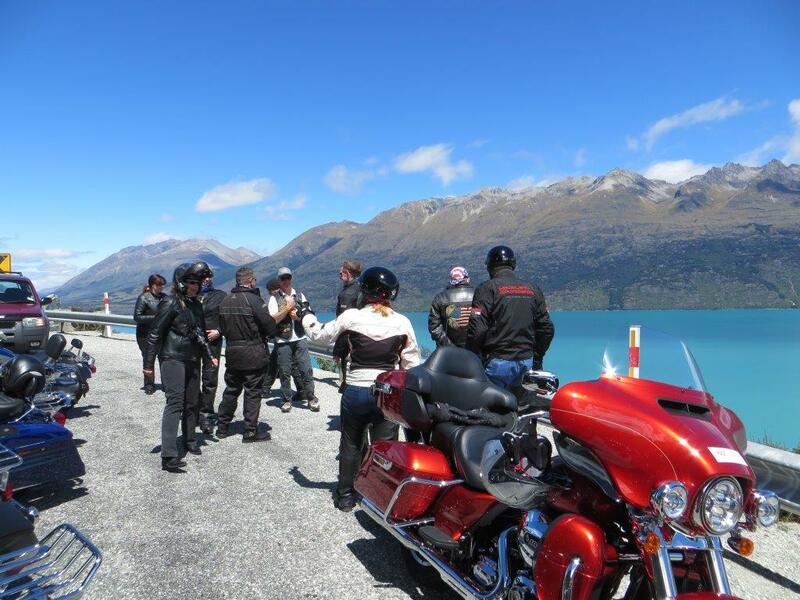 ​Beker’s MC Tours have recognised the demand for a more economically based tour, plus we have taken into consideration the quick rise in mobile technology (GPS’s, phones & tablets) which we all agree is a great help for motorcyclists with all the daily navigation and low cost communications. tour Starts & Finish’s in Munich Germany and is a 17 day (16 night) 15 riding day motorcycling adventure through the most stunning areas of the highly acclaimed European Alps. You will stay in nice quality, mostly family run hotels in Germany, Austria, slovenia, Switzerland & Italy, riding Harley-Davidson’s® ​ or BMW’s. Each day of the entire tour, go explore by yourself (with the good information provided) or ride along with the guides, or a bit of both. All above tours are 17 Days / 16 Nights / 15 Riding days. 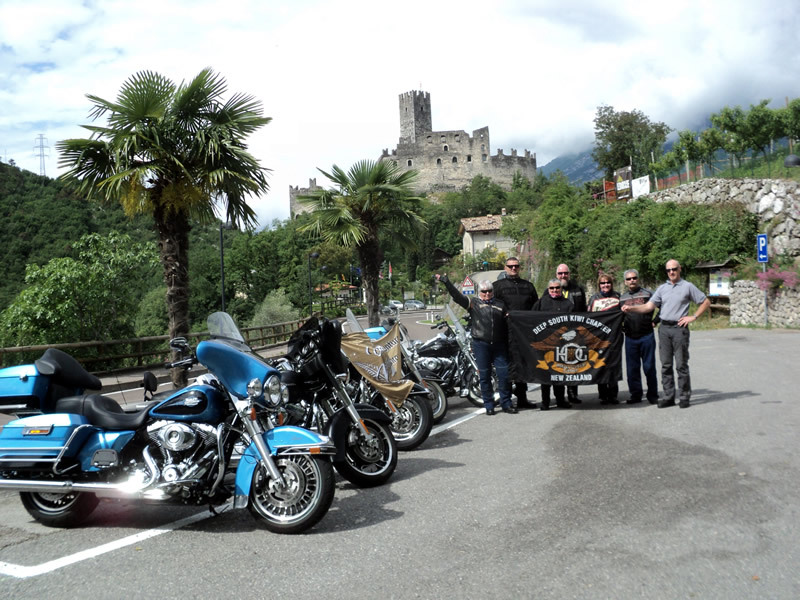 ​​This tour has been designed with couples in mind, to be a social and fun motorcycle tour whilst offering the return and new Alps riders some of the best, wonderful passes and scenic Alpine views found anywhere in the world. 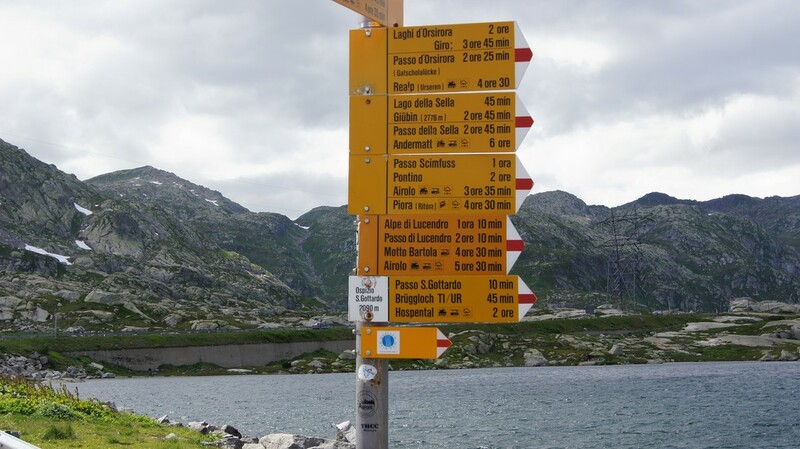 Most importantly, it is still a super safe area to travel by motorcycle, with great surfaced roads, great food, and fantastic people, the Alps will get under your skin! There is no doubt in our minds. We have added double over nighters’ and extra days on this tour, compared with the most commonly offered Alps tours. We know that for Kiwis and others that travel so far to get to Europe that 7 or 10 day adventures were just not quite long enough and through past experience we know that 20 days riding in the European Alps was just that little bit too much, with time restraints and fatigue taking the fun out of the last few days. So then, after a lot of discussion we have come up with 17 Day/16 Night hotel stays, and 15 motorcycling days, starting and finishing in Munich, we feel this is the perfect time structure for Kiwi’s and other "long haul" travellers from around the globe. All breakfasts, plus welcome and farewell dinners. Quality European style Hotels, mostly family run, very loyal and friendly stop-overs. Most importantly, the option for you to ride your own pace & style, your desired daily routes & stops when and as you please. Arrival at our Munich Hotel, informative group meeting and evening welcome dinner. 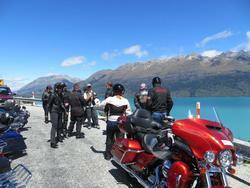 Familiarise, motorcycles pick up and ride around the local area. Depart for Villach Austria/Bled Slovenia Group meeting. Depart (with the option of many passes) for Arabba in the Dolomites, Northern Italy. Group meeting. Free day in Arabba! ZILLION great passes in this relatively small area. Depart for Trento, lovely city in Northern Italy. Group meeting. Free day in Trento! Great shopping, and riding in any direction! navigated on the way to this overnight stay. Group meeting. 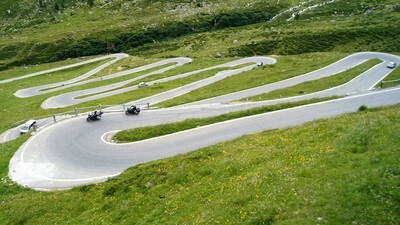 Depart for Andermatt Switzerland, surrounding Andermatt are some of the most famous passes in the Alps! Group meeting. Depart for Interlaken/Beatenburg Switzerland. Group meeting. Free day in Interlaken! Lot’s to see and do here. great passes on the way. Group meeting. southern Bavaria and into our final destination Munich. Special farewell dinner and last chance to swap some yarn’s. Depart from Munich Hotel, continue your stay in Germany, or on travel throughout Europe. This Economy European Alps Tour for 2019 is simply 'unbeatable' value! contact us now for further details!